Explanation: Bright lenticular galaxy M86 is near center of this cosmic view, at the heart of the Virgo Galaxy Cluster. Other bright galaxies in the neighborhood include M84 at the upper right, edge-on spiral NGC4388 near the right edge, a striking pair of interacting galaxies, Markarian's Eyes, in the lower left corner, and edge-on spiral NGC 4402 at about 11 o'clock. 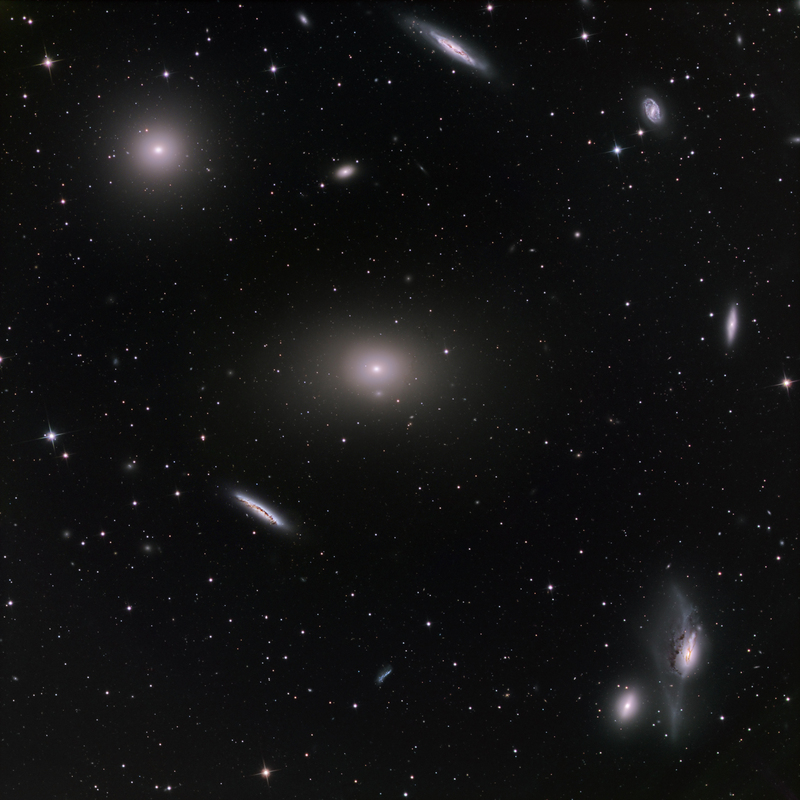 With well over a thousand members, the Virgo Cluster is the closest large cluster of galaxies. On average the cluster galaxies are measured to be about 50 million light-years away. The entire Virgo Cluster is difficult to appreciate because it covers such a large area, spanning over 10 degrees on the sky. This cluster close-up covers a region just under 1 degree wide or about 1.5 times the size of the full moon.